These adapters works great on most types of 16mm film projectors / rewinders. 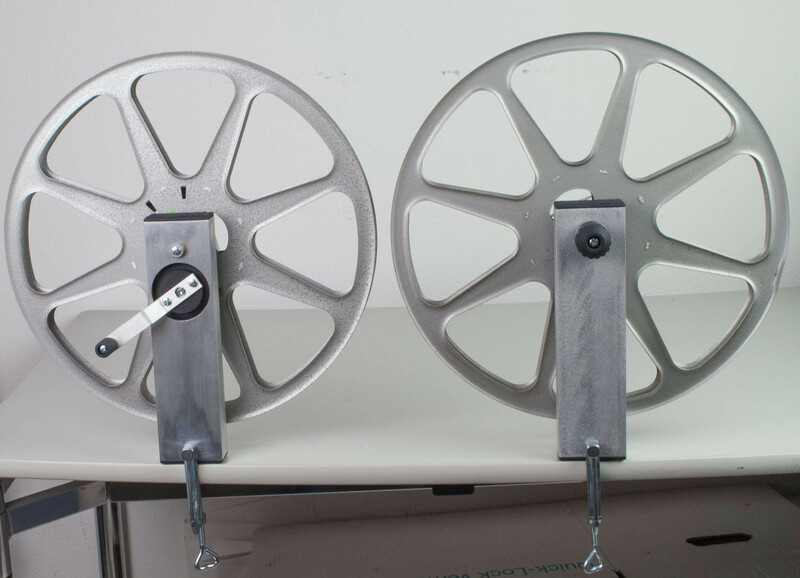 With these adaptors you can use your 16mm rewinder for regular8 films. E.g. for rewinding or cleaning the films. 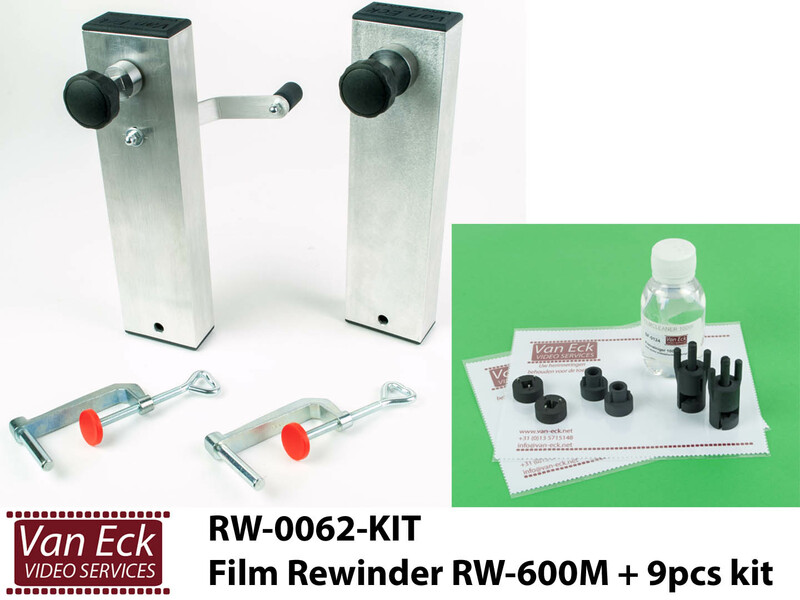 High quality full metal adapter to rewind Super 8 films on 16mm film rewinders. With this adaptor you can use a 16mm film rewinder to rewind or clean super8 films. They are designed to easily and frequently put on and off the rewinder. comfortable gloves for editing films. To avoid fingerprints on optical lenses, filters, frames, slides, film and other surfaces made of glass or plastic. The anti-static, non-alcoholic cleaning kit contains liquid for immediate removal of dust, fingerprints and stains. and can be wiped with the double-sided microfibre cloth that is washable and reusable. The cleaning cloth is also used in conjunction with our film cleaners for cleaning films. The Photosol Pec Pad 23x23cm (9x9 in.) is the ideal cleaning cloth for optical surfaces.